Coach Taylor Brooks began playing lacrosse in the 4th grade (1999). In HS, lost 8 games in 4 years, 2006 All District Midfield, 2007 & 2008 All-State Midfield. 2006 & 2008 State Runner ups, 2007 State Champions. In his High School career with the Ironmen , Brooks ended his career with 315 points, 1X All District selection (06'), 2X All State selections (07',08'), and 3 State Championship appearances (06',07',08'), winning in 2007. After high school he accepted a scholarship to Le Moyne College in Syracuse, NY. As a four year letter winner, Brooks and the Dolphins lost only six games in four years making it to two (2) undefeated regular seasons, three (3) NCAA final fours, and two (2) NCAA National Championship appearances (09',10'). To this day coach Brooks still plays competitive lacrosse and continues to strive towards playing in the MLL (Major League Lacrosse). Last year coach went to open tryouts and was invited to training camp for the Denver Outlaws making the Preseason Active Roster (PSAR) in 2017 and 2018. Coach Brooks has been coaching for approximately seven (7) years. Immediately after finishing his college career Brooks started coaching at Sam Houston State University as the offensive coordinator. There the team won the LSA DII Championships and was awarded an invitation to the MCLA National Championships. The next few years Taylor Brooks coached as the assistant for Cy-Fair, Emery Weiner School (Houston), Episcopal (Houston), and Kingwood High School. In 2016 Coach Brooks took his first Head Coaching position at Atascocita. As a third year team in the THSLL (Texas High School Lacrosse League), the Eagles had an overall record of (16-3) winning the DIII District Championship. Alongside with the championship, Coach Brooks was awarded the "Sam Chambers Award" for coaching excellence in the Greater Texas Area. In 2017 Coach Brooks helped start the Atascocita middle school team. The middle school team was named the "Iron Eagles". This middle school team has grown under his leadership and the Atascocita program has since grown to having one elementary team and two middle school teams. The high school program has also grown and moved from Division III to DII in 2018. Coach Brooks led the Atascocita Varisity Lacrosse team to its first state playoff round in 2018. It is his sincere and passionate belief that this team will be very competitive in the Texas DII Championship Drive in 2019. Atascocita Lacrosse welcomed assistant head coach Chris Wilke to the program during the 2017-2018 year. 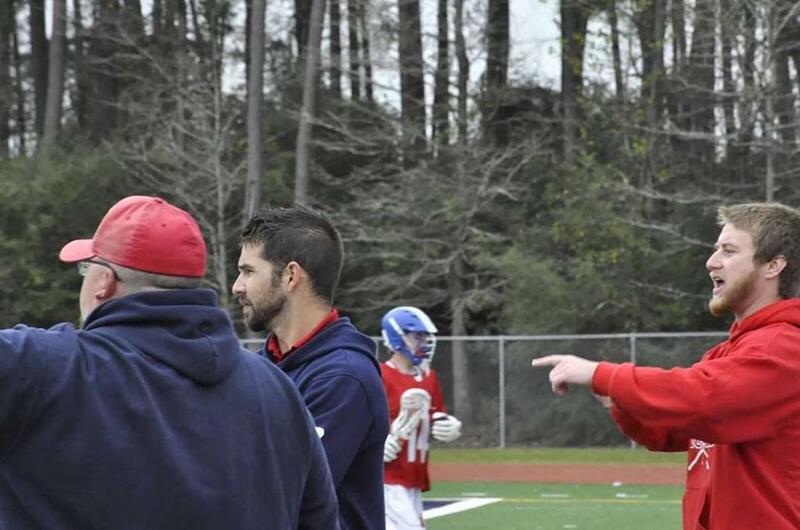 Coach Wilke hit the ground running with the Atascocita Lacrosse Programs and has not looked back since the first practice in the fall of 2017. He quickly garnered the attention and the respect of the Atascocita High School and Junior High Program players and parents in his first year. Coach Chris Wilke began his lacrosse journey in high school playing for Klein Oak starting at defense. He continued his career in college playing for SFA's club team. Since his debut as a head coach in 2006, Coach Wilke has won a total of 144 games, and has only lost 64, giving him a 70% win percentage in the last 12 years. This makes him one of the winningest coaches in all of Texas lacrosse in the past decade. Alongside his illustrious winning percentage, Coach Wilke won multiple south district championships, took the Cy-Fair Ironmen to the state championship game 3 years in a row (06',07',08') winning the DII state championship over Highland Park in 2007. This was the last time a Houston team has won the state championship in any division. We are incredibly lucky to have Chris with the Eagles once again throughout 2019! Al Tofani began playing lacrosse in the 4th grade (1988) in his hometown of Syracuse, NY. He played throughout high school and college. 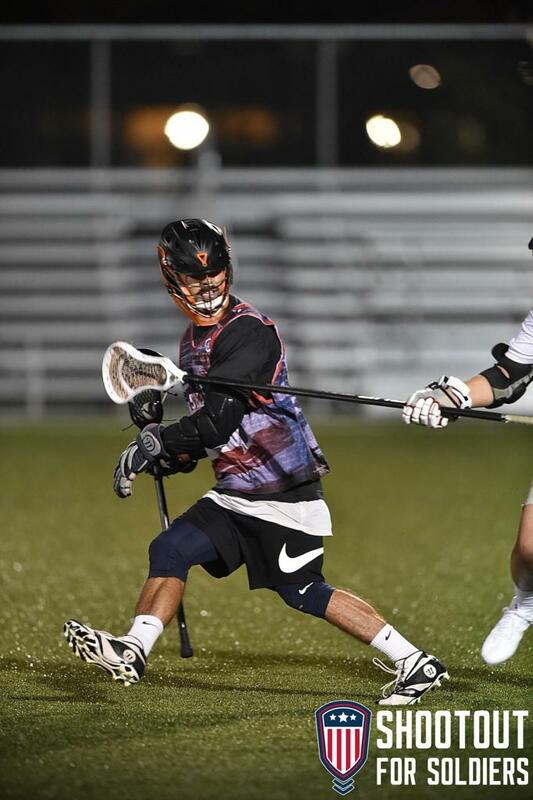 In his High School career with the Liverpool Warriors, Tofani was awarded High School All-American at close defense. He went on to attended the United States Military Academy at West Point and played under Hall of Fame coach, Jack Emmer. Tofani was a four year letterman and three year starter for the Army Black Knights and was named to the Patriot League 1st Team Defense. He was also a recipient of the Jack Rust Award for Defensive MVP in his senior season. After graduating West Point in 2002, Tofani received his commission and earned the rank of Captain in the United States Army. He served two deployments in Afghanistan for Operation Enduring Freedom IV and VII with the 10th Mountain Division (Light Infantry) during his 5 years on active duty. He now resides in Lakeshore with his wife Katie and their 5 children." We are also extremely excited to announce Minh Cao as our new Eagles 2018-2019 K-4 coach, Coach Cao. Throughout his years growing up, he often participated in competitive team sports. This helped him learn the true importance of sportsmanship, leadership, and grit. During his high school sophomore year, he joined the varsity lacrosse team at Klein Oak High School after witnessing one of his childhood friends play and love the sport. 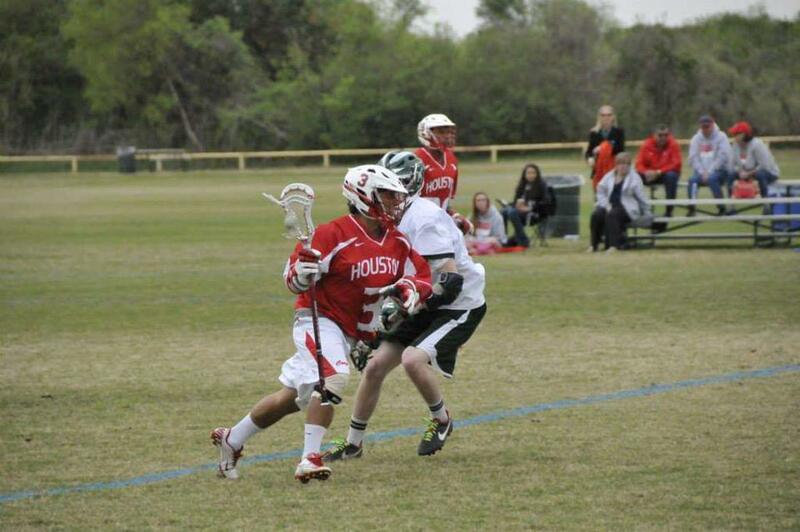 He played on the University of Houston (UH) lacrosse team his senior year in college and is a proud and active UH lacrosse alum. He also takes part in the Greater-Houston Area men’s lacrosse league. His expertise in lacrosse continues to grow through his diverse involvement with the sport and willingness to learn. Coach Minh has earned his Personal Trainer Certification (NASM) and strives to live an intentional and holistic lifestyle. He balances his life working in finance for an engineering company while sharing his passion and love for health and sports through coaching. Coach Minh is so excited and honored to join the Eagles. Though this is his first year as a coach, his work ethic, positivity, and enthusiasm will definitely lead the Eagles to grow and thrive. The Atascocita Lacrosse Program was extremely excited to announce Zach Finger as an additional Eagles coach for the 2017-2018 assistant coach Coach Finger. He began playing lacrosse at Houston Christian after a friend of his brought him over from the football team. After picking up a D-pole (Defensive Pole) for the first time Zach realized lacrosse was his true passion and quickly became one of the cities best defensive players. So good in fact he was awarded a scholarship to play for the only NCAA Division III team in the state; South Western University. The first couple years of college were fantastic for Zach as he propelled his new team to greater heights until a back injury forced him to the sidelines for the remainder of college, which were still successful years for him. Now back in the game he is more excited than ever to join the Eagles as we make a run for state in 2017. Although this will be his first year as a coach his experience, wealth of lacrosse knowledge, and leadership will definitely be a key in the success of the Eagles seasons. Former All-State LSM selection (D1) for the Clear Lake Lacrosse Association class of 2015. Played his summer lacrosse with Iron Horse (Dallas) and Dallas Select/Texas United. Continued his career at Ursinus college for his freshman year. Afterwards he returned to Clear Lake to become an assistant for the Varsity Squad as well as for Clear Springs in their inaugural season. Interested in becoming a sponsor of Atascocita Eagles Lacrosse? Want to participate in your local community? Become a sponsor for Atascocita Eagles Lacrosse and support youth in your area. ©2019 Atascocita Eagles Lacrosse / SportsEngine. All Rights Reserved.